(MENAFN - ForPressRelease) New Delhi: It was a wonderful occasion where paintings and old cars were displayed and presented in the most unique way in farm area. Dr. Sandeep Marwah Chancellor AAFT University of Media And Arts was the special guest at the function. The farmhouse was looking like an exhibition ground with full of colorful cars adding glamour, zest, power and enthusiasm. More was added with the collection of superior paintings around these cars. 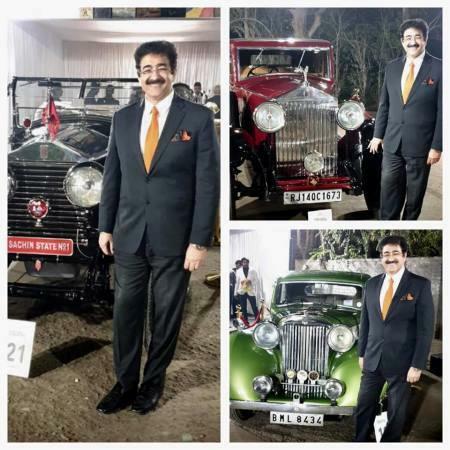 It was a rare combination of cars and arts, said Sandeep Marwah while talking to the press. Automobiles have been a fascination for almost everyone. My colleagues narrate how their young lads are able to recognise every car on the road. This fascination is natural, said Daljeet Titus Vintage Cars collector. The preview was curated by Osian at Osianama and show was handled by Ankit Nagpal of Bang on Target.